Want a proven way to boost literacy and language development? If your children are ready to read, the use of “captive reading” can play a powerful role in nurturing literacy and language development now and throughout their childhood. Captive reading is a strategy that I’ve used for years, ever since my kids were small, and it’s had a huge impact on their literacy level and overall language ability. 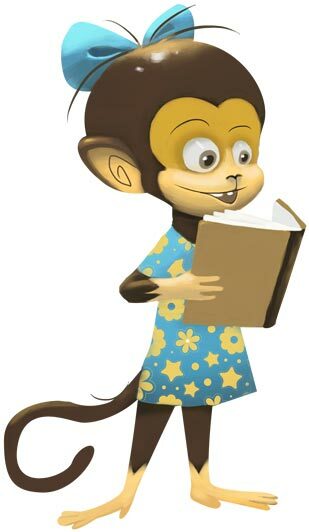 Basically, captive reading is a method for increasing a child’s exposure to reading material by posting stories and other texts in the bathroom or another “captive location.” Because exposure to reading is at the heart of raising a child with good language proficiency, captive reading is an important tactic for enhancing this exposure on a daily basis. As a rule, the more exposure to books and other texts a child receives, the stronger that child’s language ability will be, in all skill areas. To learn more about the concept of captive reading—as well as the many variations I’ve developed over the years—just start with this link: What Is Captive Reading and How Will It Help My Bilingual Child? When my kids were younger, I wrote my own versions of well-known fairy tales and fables, tailored right to their early reading level, and I had great success using them as captive reading material. Since then, I’ve made these stories available to other parents, and they’ve had similar success with their own children. I recently looked at the Bilingual Monkeys website and was struck by what an ingenious idea this is. My son is 7 and can basically read, he has a reasonable grasp of phonics, but what has always worried me is the fact that reading is always “something I ask him to do” rather than him reading of his own volition. I downloaded the stories and stuck one next to the toilet, but said nothing. Sure enough, that same day a little voice piped up asking why there was a story on the wall. (I told him I’d heard some kids enjoy having stories to read while sitting on the toilet!) He then proceeded to read the first paragraph or two. A few days passed and I thought he was no longer reading it, but I didn’t want to push him. The next thing I know he calls from the bathroom: “Finished this story! Can I have another?” Hurray! I asked him to tell me what the story was about, and he had all the details, so I know he really read and understood it. I’m so pleased to have found a simple way to encourage my kids to read for the joy of reading rather than because Mum is pushing them to! Thanks, Adam! If English is your target language, too, my captive reading stories could be a helpful resource for your efforts at home. They can be downloaded immediately as a PDF file. They’re easy to use: just print and post in a suitable location. They can be printed in both A4 and 8½ x 11 formats. They’re written precisely for a basic reading level. They’re formatted in child-friendly text, one story per page. Many of the stories will already be familiar to the child, and this “background knowledge” makes the reading task easier and more engaging. They purposefully consist of text only, no illustrations, so the child is “forced” to read, instead of staring blankly at a picture. They come with detailed instructions. They can be used with a wide range of ages, with both bilingual and monolingual children. They will quickly increase the amount of time your child spends reading. They’re fun and effective for both parent and child.